Attached are some newspaper articles that appeared in the Leinster Express and Laois Nationalist newspaper in Portlaoise, County Laois, Ireland. 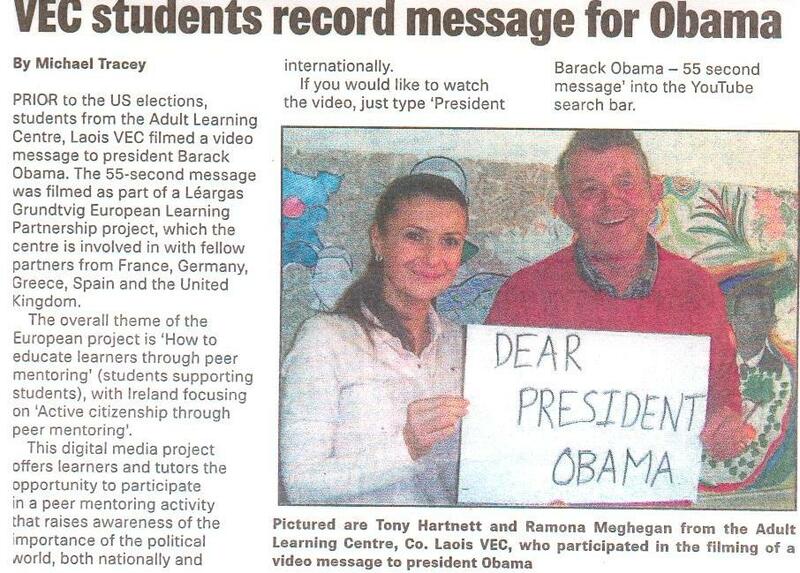 The articles mention some of the peer-mentoring ctivities that have been taking place at the Portlaoise Adult Education Centre. They also make reference to our project partners and some of the project meetings that have taken place across Europe. Hope you enjoy reading them.